OMG Posters! 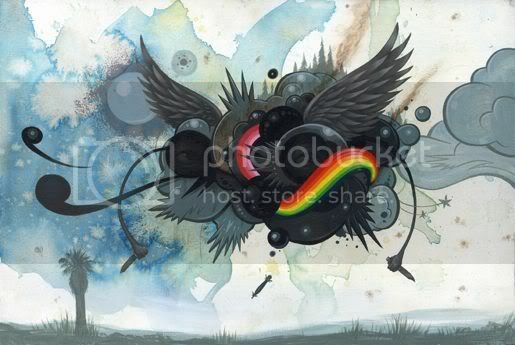 » Archive New Jeff Soto Art Print Coming: "War Clouds" - OMG Posters! This brand new art print by Jeff Soto is coming soon, and he is now taking reservations for it. “War Clouds” is a 20″ x 14″ giclee, has an edition of 50, and will be $250. Money isn’t being taken yet, but if you send Soto an email, you will get first dibs when it’s released. hopefully my first soto print. OMG! This site got a mention in FY* today! You’ve really made it! Props! He was just bringing it to my attention that a couple of competing sites have been posting suspiciously similar content to mine. Competing? I didn’t know this was a competition.